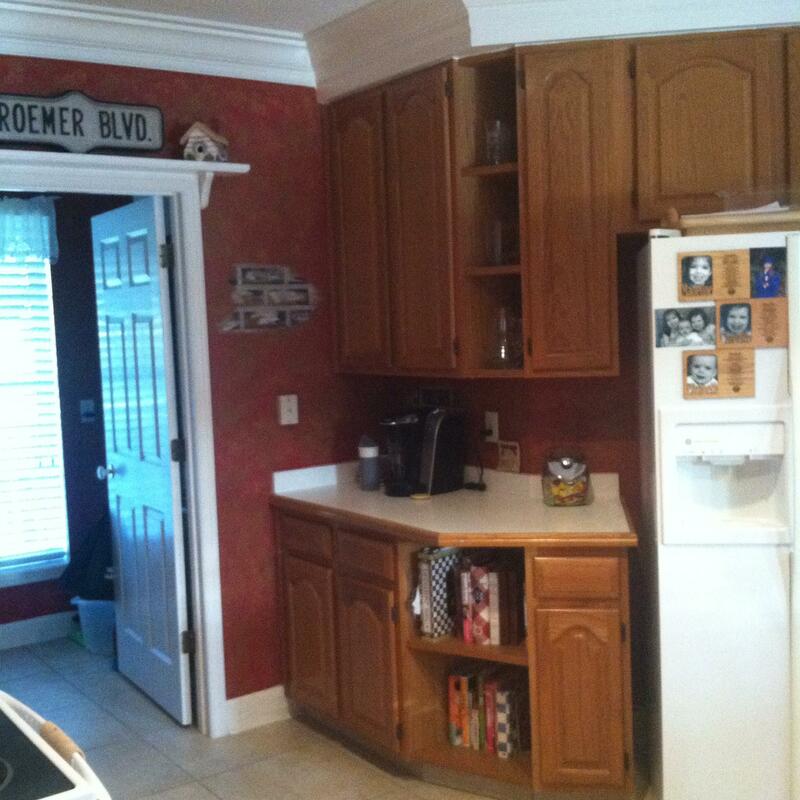 Change the look of your kitchen with just a little paint! It’s no exaggeration to say that I spend ALOT of time in my kitchen. I’m a stay at home mom with 3 kids, 4 if you count the husband, and they require to be fed on a routine basis….like every 10minutes, no lie! 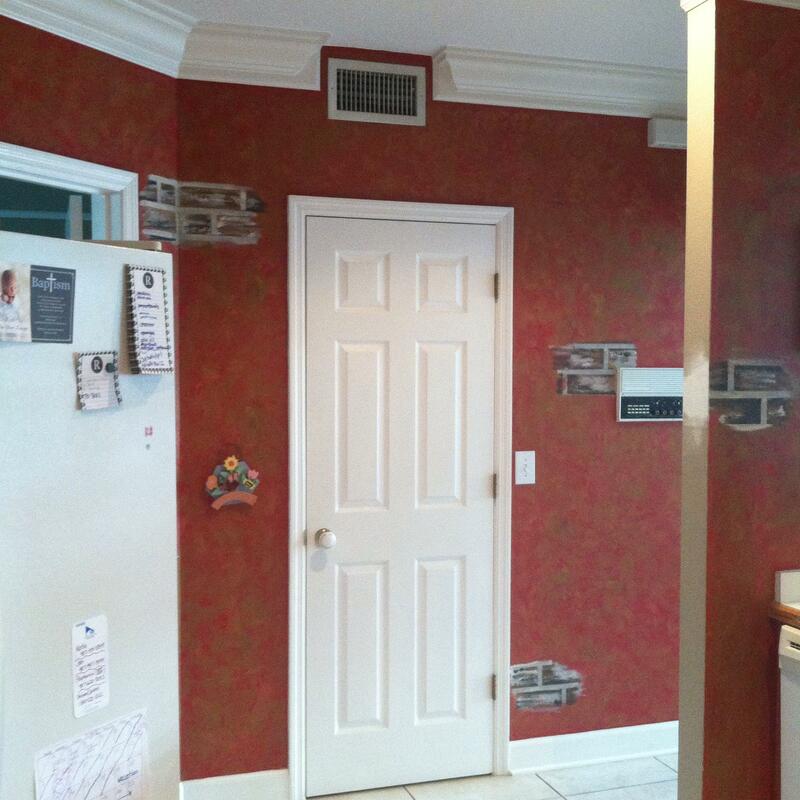 the light colored tile, the red paint, the gold sponge paint on top of the red paint and the painted on faux brick on top of the red paint. Don’t get me wrong, I LOVE the color red. I really do. But it was too much for the kitchen. It wasn’t my style and it made me not want to be in the kitchen. I firmly believe that the most memorable family memories are made in the kitchen. Any conversation or story that I tell my kids from my childhood, always has us in the kitchen. So I was determined to turn this kitchen around. I pinned, I googled and I browsed Home Depot. I knew what I wanted but I couldn’t get the husband (or the checkbook) to go for it, no matter how hard I tried. 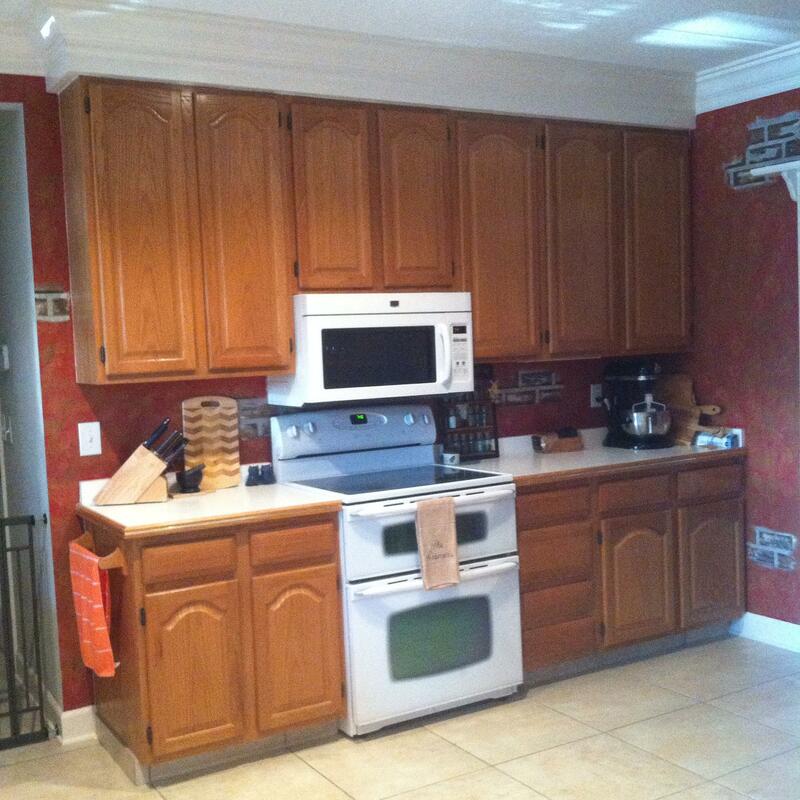 Deep down, I knew it was unrealistic to redo the entire kitchen so I opted to work with what I had. I still pinned and googled but this time I added a few key terms to help with my search…oak cabinets, white formica, white appliances. I wanted the internet to show me what color paint would work best with what I had because I knew I could get the husband on board with that and he would love it too! I could change the look without draining the bank account. 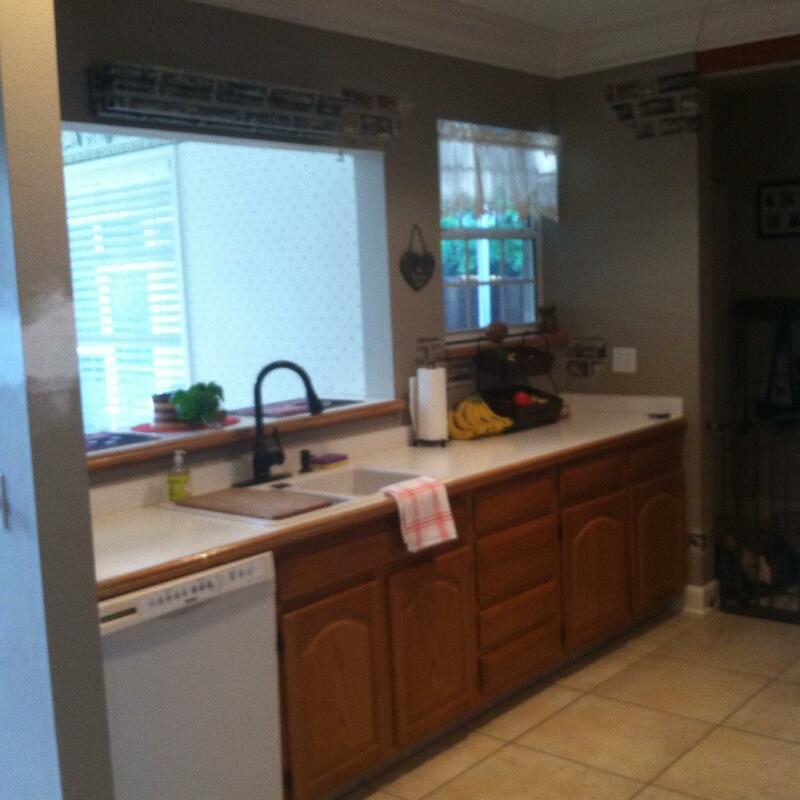 I was determined to LOVE my kitchen again and a little paint could bring me that love…right? ?